Parking in the 833 building parking structure is available. Rare Steakhouse does not give vouchers for parking. Rare combines craft cocktails, in-house dry aged steaks and attentive service in an unabashedly old-school steak house setting. 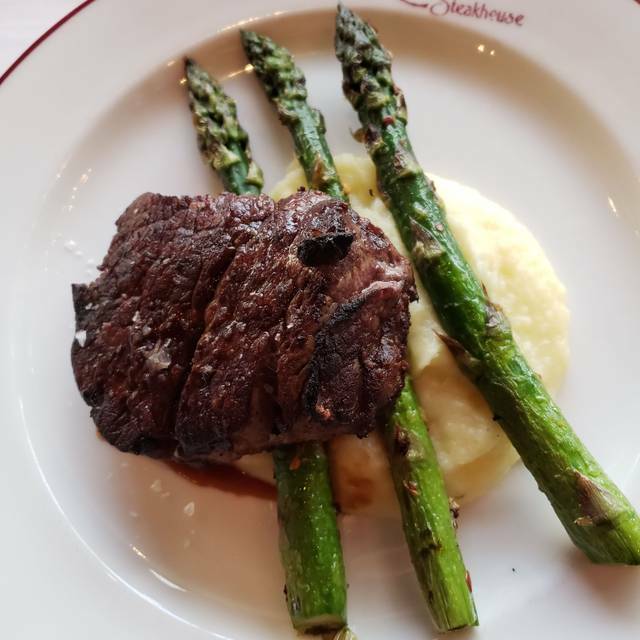 Milwaukee's downtown steakhouse features specialty cuts dry aged in-house, like the Rib Cap and the Delmonico as well as offering more traditional cuts like our filet and our rib eye. Rare also carries the famed, and incredibly delicious A5 Wagyu, available by the ounce. 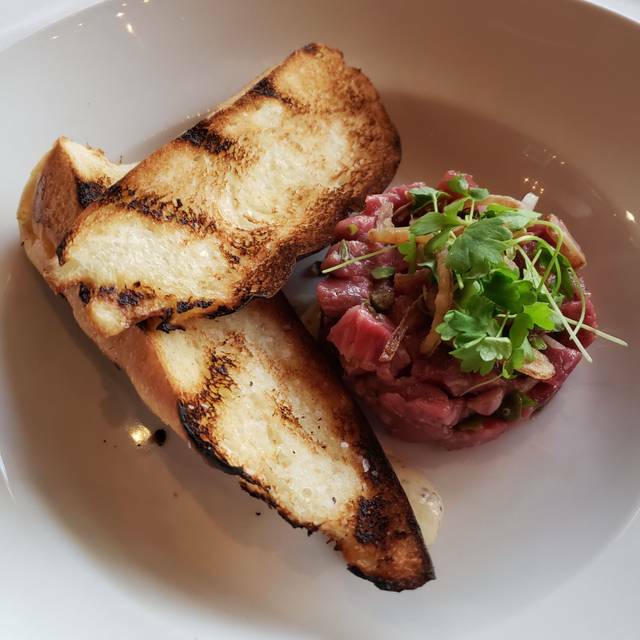 Complimenting our steaks and entrees is a specialty cocktail list and an extensive wine list with everything from wines for a big celebration to a weekday dinner. Rare Milwaukee is one of the top business lunch destinations, but if you're just looking for a drink after work, Rare offers discounted cocktails, wines and snacks at happy hour. Atmosphere was great. Nice interior. Service was good for us but we noticed other servers were not as professional and courteous. Unfortunately food was awful, and we are very forgiving customers. Lobster bisque was too creamy and was curdling. Steak was so tough that we needed to saw it with the knife. Also without telling us they added a wine-like juice over the steak (probably because it was so hard). The loaded baked potatoes are good and the popovers are amazing. For the price this is not worth it and we will be surprised if they are in business very long with better, less expensive, options just blocks away. The food was excellent and it was a great place to celebrate our April birthdays! Our waiter was a little bit too chatty, but other than that, he was great. I cannot speak highly enough of the quality of the food and service. Some of the best steak I have ever eaten. The food was outstanding and most of the service was incredible. Our server was very knowledgeable. Downside- my boyfriend and I are a younger couple and the hostess was not very welcoming and made us feel very out of place when walking past the table. Outstanding all around experience! Pricey, but good! Don't argue with a guy who has been eating and preparing steaks for over 20 years . I know what I order. And Rare steak house screwed up. For the price there is no room for these issues. EXCEPTIONAL EXPERIENCE! Food and service = superb! Everything here from the service to the food was excellent. The service is awful, and the food does not fit the atmosphere. I ordered the Waygu Strip loin 8oz. I asked for medium and it came out Mid rare. They took it back and cooked it for about 30 more seconds and it came back still too rare for my liking. I only ate about 3/4ths of it because not only was it too rare it was also way over seasoned with pepper. Our server was amazing and super nice! The manager came over and said he would comp my steak which was fine. But when I received my bill I was charged for two whipped potatoes and we only ordered one. So it took twice as long to get out check and leave then it should have and we had already waited for at least 10 minutes in the first place. All in all I wont be going back again. Date-Night-Delight! 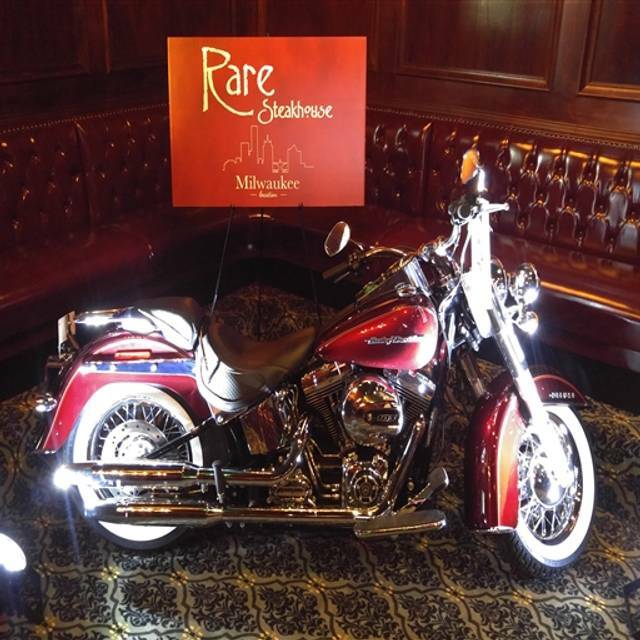 Another wonderful experience at RARE-MKE! Danielle, Chef Aaron & Ean & staff were exceptional, we were treated like royalty. The steaks (Rib-eye cap & Tenderloin) were cooked perfectly, crab cake was phenominal, surprise app of pork belly with glaze (thank you Chef) and desert of chocolate cake and white chocolate ice-cream topped off a wonderful experience. Only problem....couldn't finish ALL the food. A MUST-STOP when in Milwaukee! I really don't like the set up of the tables, its these smooshed booths and I'm not a fan of having to sit next to someone I'm eating dinner with. The food was good, I got the NY strip but it wasn't a nice tall cut the way I usually like it. I loved our waitress and wine list though! Attentive and personable server and other staff. Interesting and flavorful menu. Enjoyable experience. Really nice place, a perfect Old Fashioned and superb, superb food!! That's the good (no great) part... our server however was distant, unpleasant and basically a jerk. We watched as other tables were cared for with great service by real professionals and an excellent support wait staff but to our bad luck, we got the inattentive, disgruntled and incompetent "Peter". Not sure what was going on in his life that had him in such a snit... I'm only sorry that fate somehow steered us into it. My wife and I were out celebrating her birthday and after sitting with our dinners completed and our drinks long empty, we were finally able to pull Peter away from him "working" a cute bus girl to ask for our check. He must have then noted that I had alerted the restaurant (via Open Table reservation) that it was my wife's birthday because he returned to our table and haphazardly dropped a crappy piece of "something" with a candle on it on the table in front of my wife and then tossed the check-book closer on the table closer to me and left. When he came back I asked him what the desert was and he rolled his eyes and mumbled something. I told him I was not happy with his attitude towards us or that he somehow thought it was OK to treat us this way. I pointed out a couple of the slights he had directed towards us and he scurried away to send the manager over. While the manager did her best to apologize and make excuses for his poor service and attitude, it seemed rehearsed like I was not the first to bring this to her attention. It is really unfortunate that we maybe forced to avoid having dinner in an otherwise excellent establishment in fear of meeting up with another lazy, untrained, unmotivated "jerk" that simply took the joy out of our night out. The steaks were done to perfection. The overall experience was fantastic. Was in from out of town but would visit Rare again on my return. Rare commands a higher price than most Milwaukee competitors without delivering a differentiating experience. 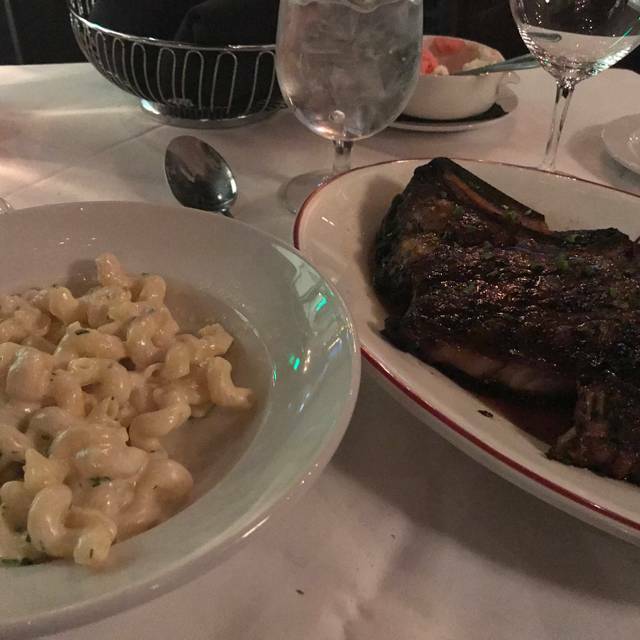 Steak was average (had 7 and 10 oz porterhouse) and sides were priced about 30% higher than almost any other place. Drinks are ridiculously priced and the marginal wine menu is priced at least 25% over competitors. Overall the only thing that's differentiating about Rare is the price. 5 o'clock, Carsons and Carnevour are all far superior and will leave you with extra cash to spare. Our waiter, Fernando made our dining experience even better! We came for a company dinner and everything was AMAZING - we WILL be back!! We were impressed!! The food has come a long way since you opened. Crab cake was awesome! However, the ONLY issue was 1 cake/order. It was so good we ordered another. Meanwhile, our steaks were served, cooked per order and delicious! To complerte the meal, order of the flight of Tawny Port (10,20,30,40). Perfect end to a GREAT meal! Thank you Danielle and your staff for an enjoyable meal. This place is amazing!! Great food and great service! Highly highly recommended! Top notch! Worth every penny! Knowledgeable staff and great overall experience. Waiter was way over the top. He talked way too much and was distracting to our group. Ridiculous actually. I would choose not to come back just to avoid his act. My first experience. Staff friendly and professional. Excellent food and Quinn our server was outstanding. Great food and service. The Bottleneck was outstanding! My girlfriend and I decided to try a different restaurant In Milwaukee. 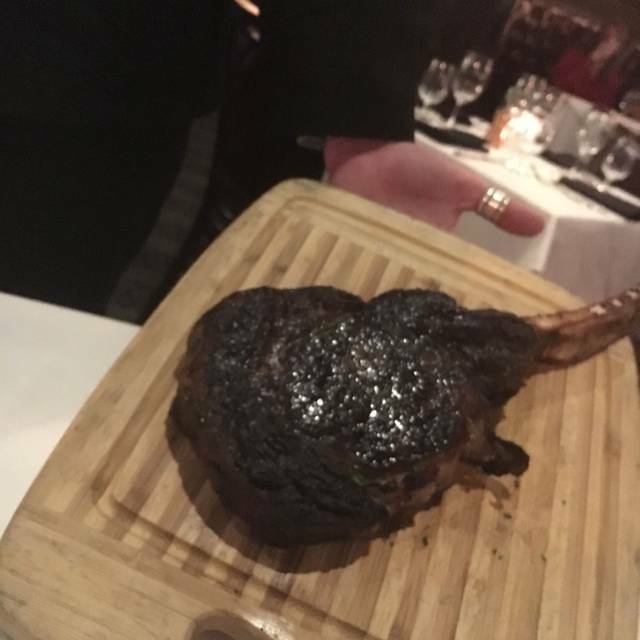 I ordered the ribeye steak dry aged, it seemed kind of small to me. It didn’t look like a 22 ounce steak. My girlfriend ordered the special center cut filet. My girlfriends filet was very salty. We ordered the flourless chocolate cake for dessert, it wasn’t dense at all. We questioned if the right dessert was brought to us. Overall the service was excellent, but the food was subpar. Our total bill for the meal was $200. I didn’t think the quality of food was worth the price. I was a avid eater of Ruth Chris in Florida before moving here to Milw. 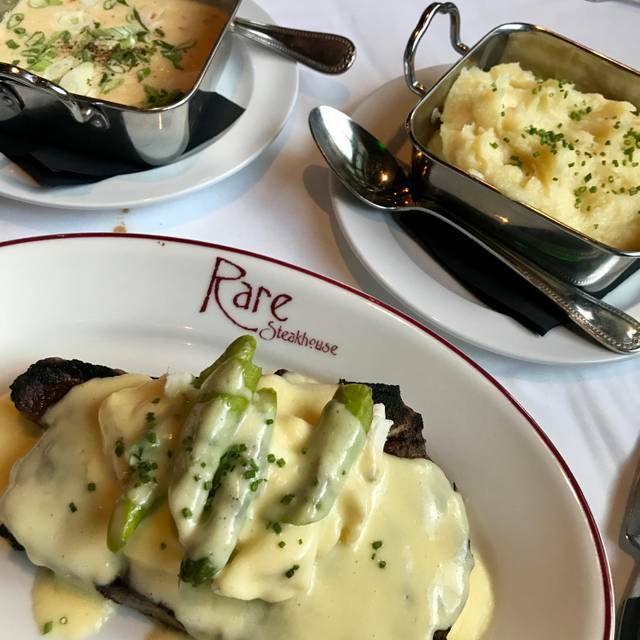 This being my first time at Rare, I have to say, your steak is cooked better and the whipped potatoes are amazing. You have redirected me in my choices for steak. Thank you for a great Valentine's Day dinner. Food and service are truly top notch. 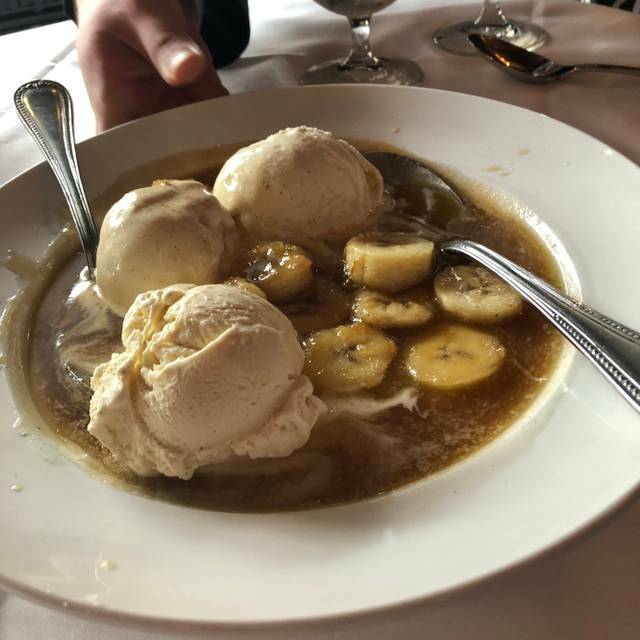 Don’t miss the tableside bananas foster! Spectacular ambiance but the food and service were a HUGE disappointment. Server was very slow to take our order and forgot peoples drinks, mixed up our orders and even brought the wrong food to our table. The steak was marginal at best. Words like: rubbery, chewy, undercooked, grainy and fatty cover the steaks. The bernaise sauce was very sweet and the side dishes over salted and peppered. Overall a very poor experience at what was advertised as a highly rated steak house. The service was impeccable. The foie gras was out of this world. There was a little snafu with our popovers but we would never have known it was a problem if our server had not indicated that it was. Really appreciated the honesty and very quick resolution. Only suggestion would be that our food could have been a little hotter when it arrived. Didn't bother me but my husband and son like a very hot plate. Overall, an outstanding experience. We will, and already have, recommend to others and will be returning. Great experience, food was spectacular. Peter our Captain strategically navigated the crew (us) through the entire dining experience like the True seasoned skipper he is. Seriously, Peter is fantastic! Here is an example of going up and above. While one of the crew left the table, Peter quietly took her napkin from her chair and made a swan (origami). Went there for an Anniversary dinner and it was amazing! The staff knew from our reservation that it was a special night and treated it accordingly. Thank you! I really enjoyed the seating area, service and atmosphere however my ribeye steak ordered medium did not have much flavor and was not tender at all, very chewy. For the $200.00 price we paid for two people for dinner (one ordering steak, one salmon) I would strongly recommend other restaurants. Impeccable meal, start to finish. Our waiter Ian was knowledgeable and helpful. The cocktails were delightful, the food was "last meal" perfect, and the ambiance was lovely. Truly a memorable experience. 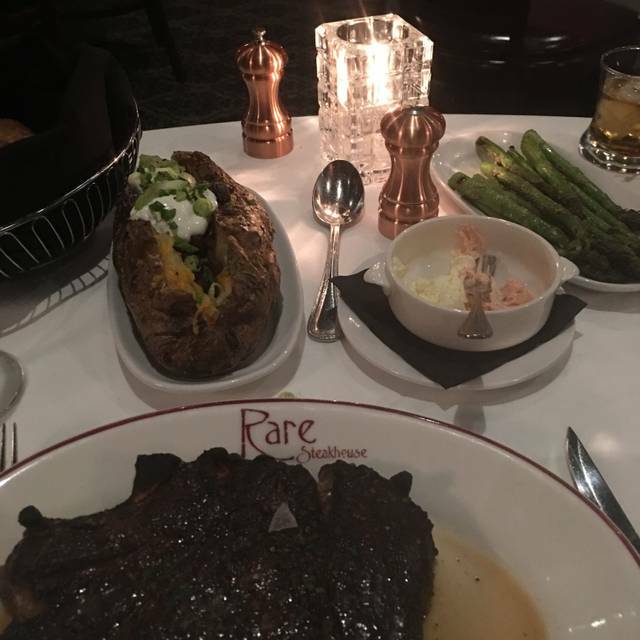 We used to eat at Rare all of the time. It was our favorite restaurant in Milwaukee. We took a break and hadn’t been there in a while before we went back last weekend. Ambiance has changed- the piano bar (one of our favorite things about the restaurant) was removed. The food did not taste fresh and was cold when we got it. We probably won’t go back. We came here for my husband‘s birthday and met some friends. The experience at the bar for some drinks was great and speedy and the drinks were delicious. once we moved to the table our server Katie took very good care of us and explained all of the food options. 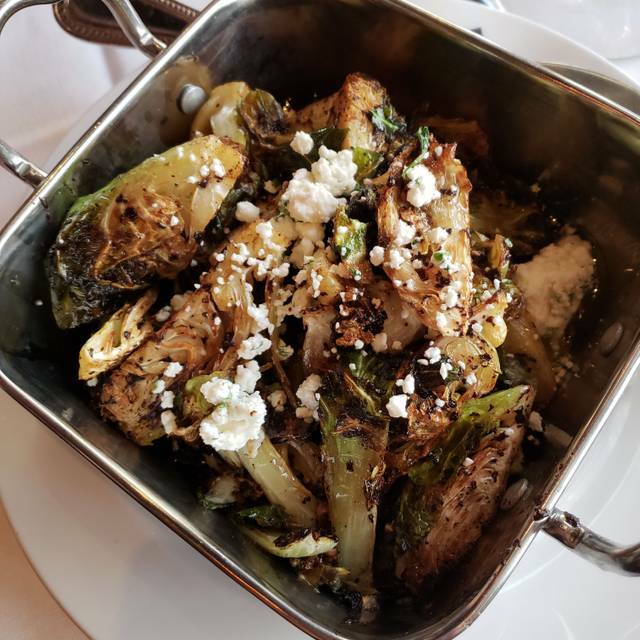 We were very happy with our shared sides ( loaded has browns and breaded sprouts) and our main entrées- ( filet and tomahawk) we did end up doing bananas Foster for dessert which was good, not excellent but overall we would come back ! It was wonderful! Everything exceeded our expectations!